Pendleton Family Dental wants you to be proud of your smile. A composite filling is a tooth-colored plastic and glass mixture used to restore decayed teeth and for cosmetic improvements by changing the color of the tooth or by reshaping disfigured teeth. 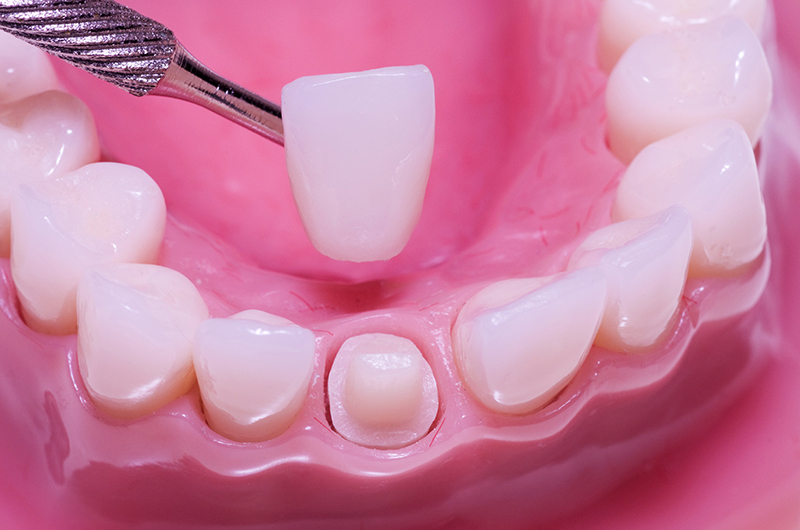 Aesthetically pleasing, composite fillings provide a great alternative to traditional amalgam for people who prefer that their fillings look more natural. Your dentist can blend shades to create a color nearly identical to that of the actual tooth. These composites bond to the tooth to support the remaining tooth structure, which helps prevent breakage and insulate the tooth from excessive temperature fluctuation. They are durable enough to be used on front or back teeth as they can resist fracture in small to mid-size fillings that need to withstand the stress and pressure caused by regular chewing. For more details, check out this video from the American Dental Association. Porcelain crowns have proven to be durable and long lasting, all while providing a stain-free shine. They can provide a surface texture to break up the light and give a more natural appearance; in fact it’s almost impossible to tell the difference between the porcelain crown and your natural teeth. You can trust that we have the knowledge and staff to provide you with the latest advancements in fitting your high-quality porcelain crowns. Our dental ceramists will ensure that your porcelain crowns and restorations are all perfectly matched to your individual teeth and create the smile you want. For more information about porcelain crowns, please contact us today at 866-980-8989. A smile is important. It’s one of the first things noticed when meeting someone. A whiter, brighter smile can make a memorable impression. Today’s lifestyle and the aging process can stain and darken a person’s teeth. Many things we do on a regular basis can contribute to stained teeth, such as drinking coffee, tea, cola and red wine or smoking. The Zoom!® Whitening system is safe*, effective and very fast. It is performed only by a dental professional. The clinician applies propriety Zoom!® Whitening Gel. This gel is then used in combination with the Zoom!® Curing Light. The light and gel then work together to gently penetrate the teeth, breaking up stains and discoloration. *Patient must have an examination and x-rays AND must be cleared of dental decay and periodontal disease to qualify for ZOOM!® In just a couple of hours, you can go home with a new, whiter, brighter smile. Contact us for your Zoom!® Whitening consultation. Click here to learn more about Zoom!® Whitening. When your smile has been damaged by decay or injury, we can use tooth-colored composite fillings or porcelain crowns for cosmetic dental restorations. Porcelain works well for cosmetic dentistry restorations because it reflects light in the same way natural teeth do and resists future staining. And if staining is a problem, we offer in-office Zoom!® teeth whitening to brighten up your smile. Pendleton Family Dental is equipped with digital crown fabrication technology. CAD/CAM digital crown technology is one of the latest advancements in crown scanning and fabrication technologies. The CAD/CAM Digitizer is a high-speed laser scanner that takes multiple images of the tooth and warps them together to create a highly accurate 3D model. 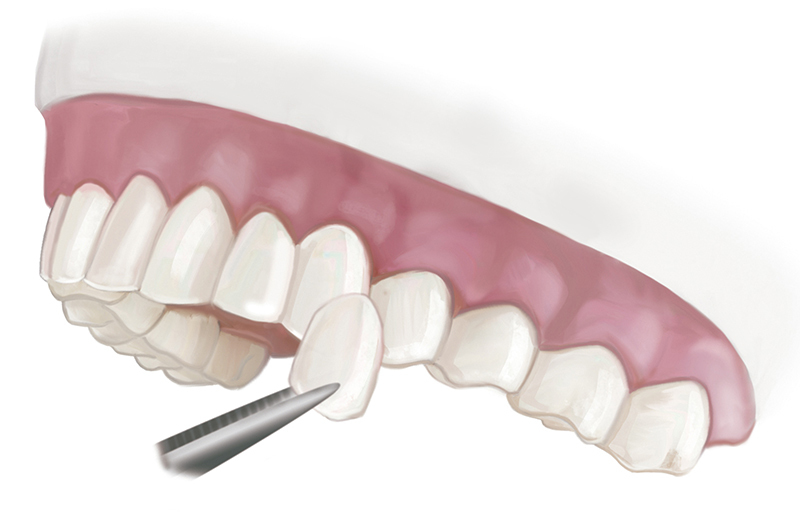 After the digital scan, the design software creates a 3D model of the tooth from the various images. The dental technician then uses the software to create the restoration that will match the shape of the neighboring teeth and is electronically sent to the lab milling device for fabrication. Contact us for a cosmetic dentistry consultation, and we can discuss all of your options to create your comprehensive smile makeover. You may also wish to visit take an online Smile Assessment to get you started.